Brandon University Brodie Science Centre | prairie architects inc. 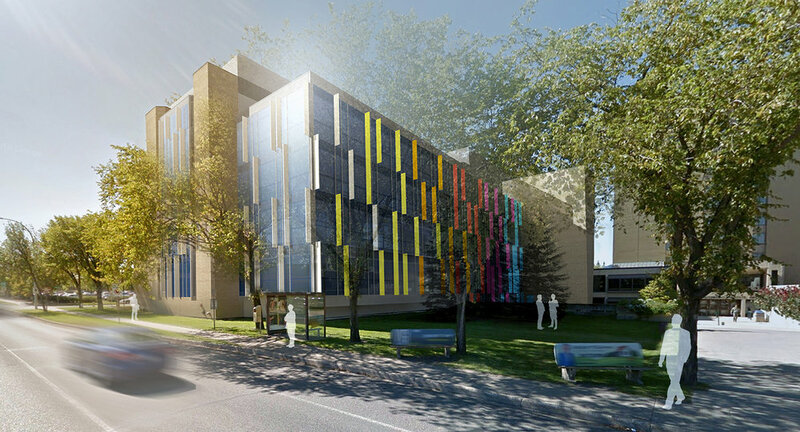 In June of 2018, Brandon University (BU) commissioned Prairie Architects Inc. to undertake a preliminary assessment of the John R. Brodie Science Centre and make conceptual design recommendations related to the current and future teaching and research space needs of the Faculty of Science and broader BU community. The process began with Existing Building Condition Assessment, after which specific user and departmental information was gathered by online survey and department chair interviews. All was compiled as a quantitative/qualitative User Data Summary. Based on the findings, two conceptual design approaches were developed to meet pre-established $20M and $40M budget thresholds. 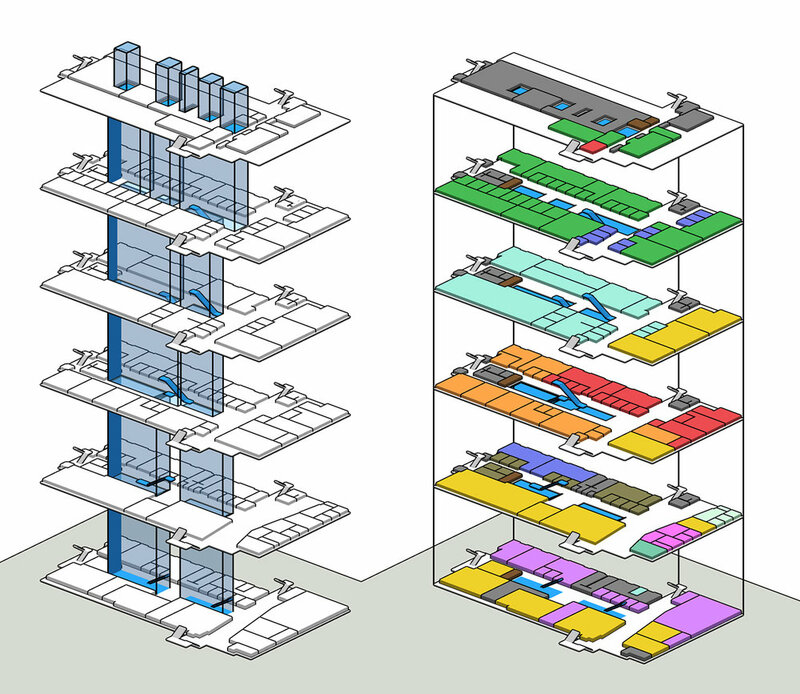 The task presented by BU was to maximize the use of existing structures and make the most efficient use of existing resources. The $20M concept focused on a ‘Refresh’ of the existing building, including asbestos abatement, building envelope work, mechanical and electrical upgrades, new furniture, fixtures and equipment and a modest amount of cosmetic upgrades. 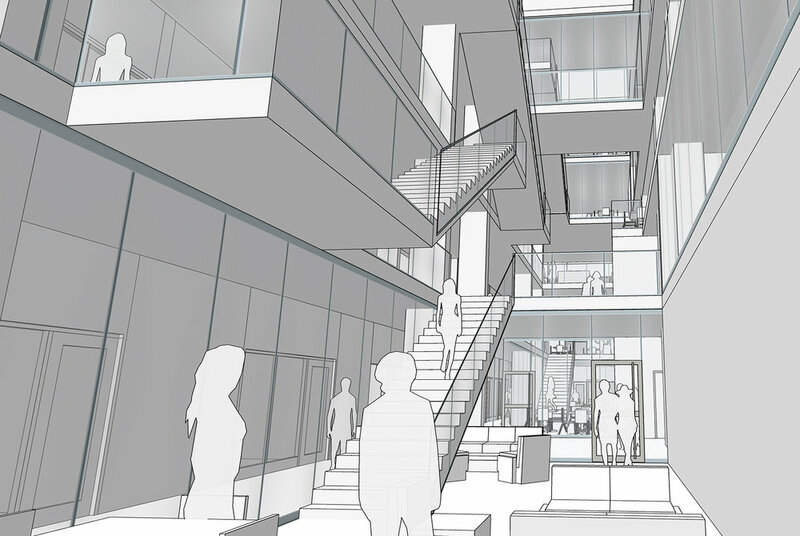 The $40M concept is a complete ‘Re-envisioning’ and adaptive re-use of the existing building with a complete gut and renovation within the existing building shell. 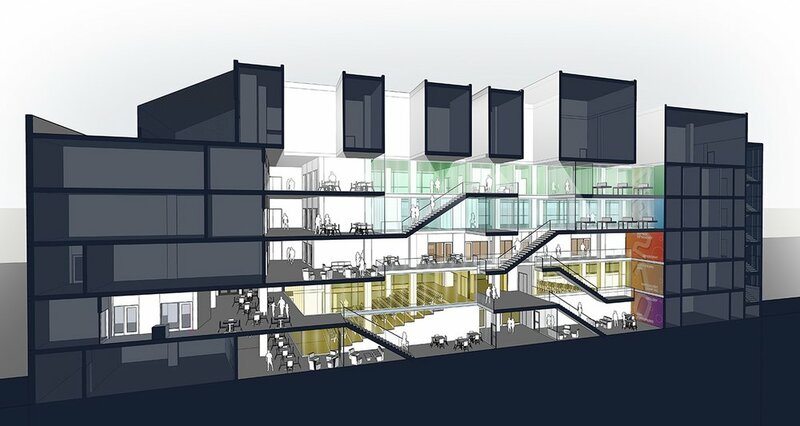 The ‘Re-envisioning’ concept transforms the existing floors by eliminating the existing central service corridor, pushing the classroom and laboratory spaces to the perimeter, and carving a central atrium vertically through the entirety of the building. 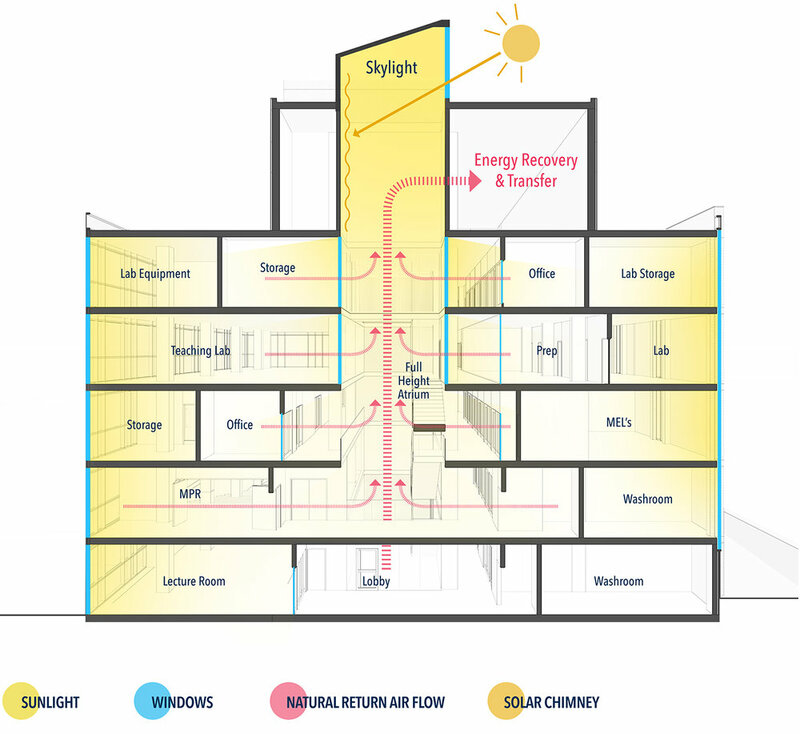 The atrium brings daylight deep into the core through new skylights and provides a new, consolidated circulation spine, which is far more efficient than the existing layout of perimeter circulation with a central service core. 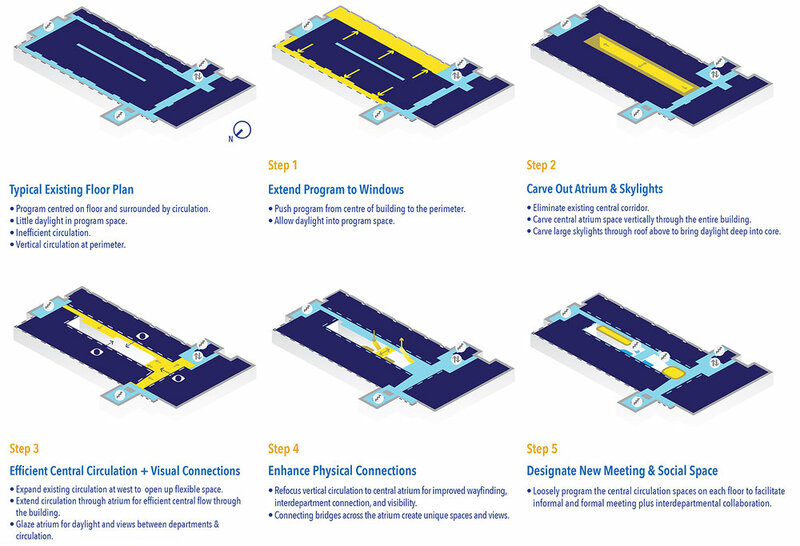 The new layout vastly improves wayfinding, access to daylight and views, safety and interdepartmental connection through physical and visual connections. An increased number of meeting and social gathering spaces are created and all new mechanical and electrical systems provide for a completely modernized space within an existing shell. 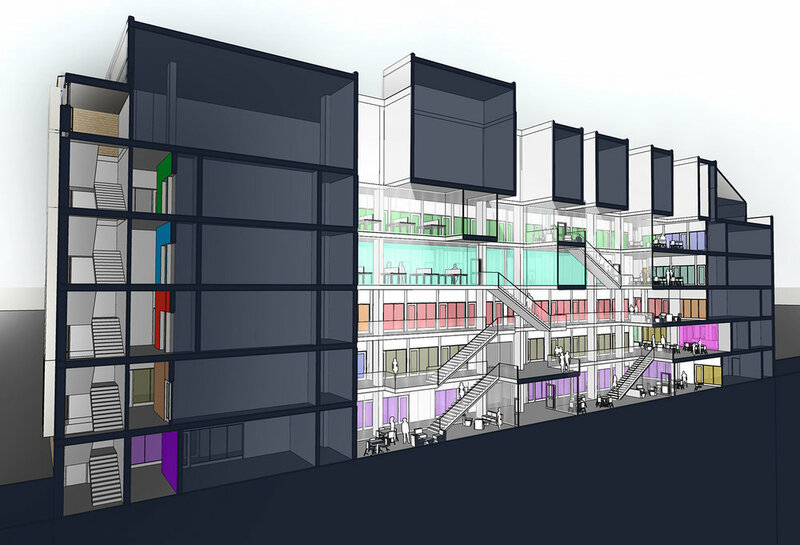 In the proposed $40M approach each of the 8 departments within the Faculty of Science receive new, updated spaces that foster STEM research and learning.